Blanche Ebbutt was the “Dear Abby” of her generation and wrote Don’ts for Husbands and Don’ts for Wives in 1913. These are straight “how-to” guides to improve marital relationships. 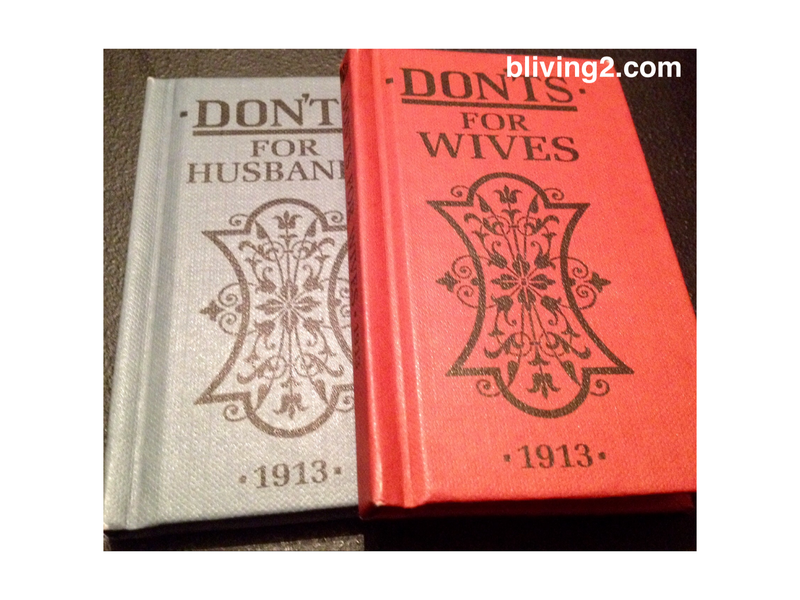 This pair of little books shed an amazing light into the common sense approach to marriage that has worked through the ages. My husband and I got a kick out of them. Written in 1913, before Women’s Sufferage had brought women the right to vote in some areas, the advice is remarkably well balanced. Especially the advice of courtesy bringing bliss. Patience is a theme, as is compromise, appreciation of each other’s differences in opinion, turning off your ego, and realistic statements about love not being bought, and making sure you stay on the same “team” with your spouse. Though times have changed these books offer a funny, common sense, thought provoking and even relevant outlook to marriage. I hope you will pick up these books and enjoy and appreciate the fun advice outlined in her books. These books can be used for great date nights! Blanche Ebbutt’s books can be purchased at Amazon, Barnes & Nobles, Books-A-Million, White’s Mercantile and many other places. Enjoy!